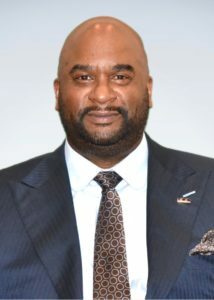 Acey Byrd – 100 Black Men of America, Inc.
Acey Byrd is the founder and president of Byrd Enterprise, a conglomerate that combines construction with community support and advocacy in the effort to revitalize the most impoverished areas in Indianapolis. Byrd Enterprise, located in the heart of urban Indianapolis, one of the state’s lone minority-owned floor covering companies, which Mr. Byrd started in 1997. Byrd Enterprise clients list is extensive over the last 20 years. Mr. Byrd completed his education at Indiana Wesleyan University. In the area of community involvement, Byrd Enterprise also is the home of Youth Under Construction and Community Revitalization through Youth Empowerment (CRYE,) two programs that offer Indy youth, ages 14-22 mentor and potential job opportunities in the construction field. Mr. Byrd created these programs in 2000 after identifying a severe need for African-American adult male support for At Promise Youth. The programs have positively affected the lives of over 1500 youth of promise in the community sense 2000. Mr. Byrd is the Past President of the 100 Black Men of Indianapolis, formally President of Trailblazers LLC and other private partnerships. Recently was re-elected to his third term of the National Executive Board of Directors of The 100 Black Men of America as Senior Leader. Founder & CEO of Edfit Indiana Inc a 501C3 designed to disseminate information on High Performing Schools Nationally. Mr. Byrd’s commitment to his community is magnified by his civic roles, which include Past Operations Director for Rebuilding Together for 15 years. The annual program welcomes a host of local businesses and over 900 volunteers together to revitalize targeted low-income homes in a single day. Since the program’s creation in 1999, Rebuilding Together has rehabilitated over 900 houses with an estimated $10M dollar impact in various Indianapolis communities. Awards that have been given include The Governor’s Award for Outstanding Achievement in Community Service, United Way Adult Community Service Award, and others.